An innovative dementia therapy tool is making its way to Canada. 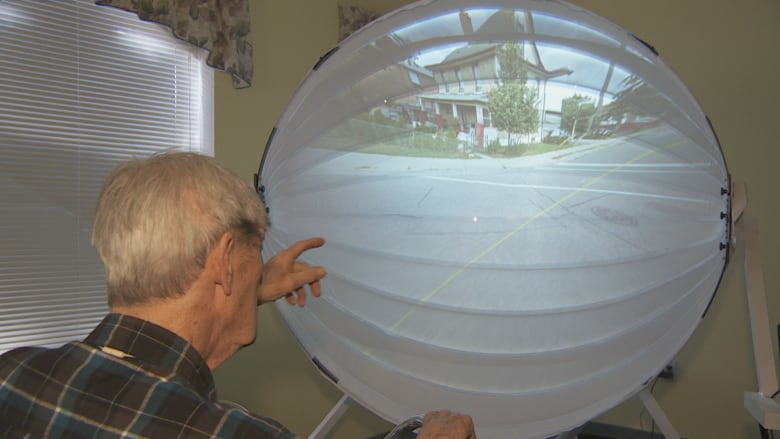 The BikeAround is a device that combines a stationary bike, Google Street View and a dome-shaped projector to give users a virtual ride down memory lane. 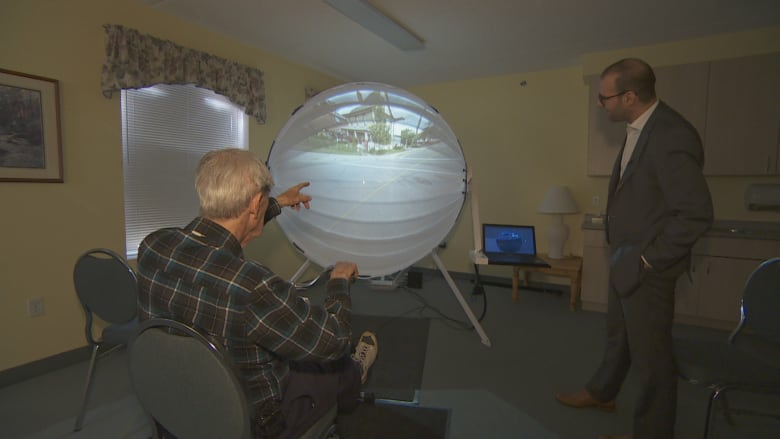 Residents at an Oshawa, Ont., retirement home are among the first people in the country to try an innovative therapy for Alzheimer's and dementia patients called the BikeAround. 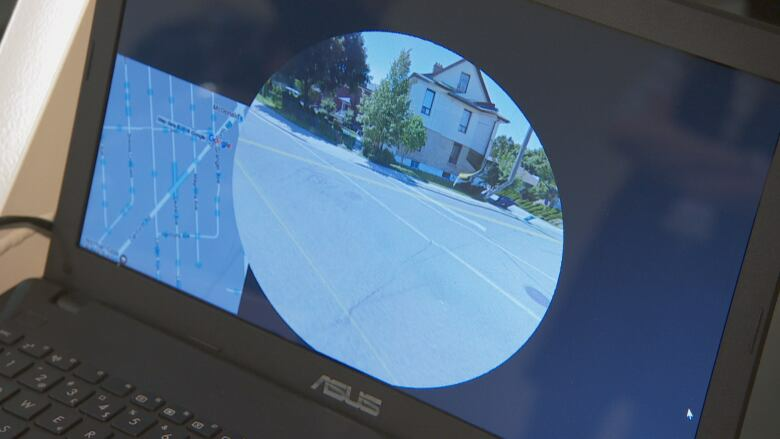 The device combines a stationary bicycle, a dome-shaped projector and Google Street View technology. Users sit on the bike and are able to pedal through video of meaningful destinations — a childhood home, a vacation destination, the spot they were married — projected onto the screen in front of them. The experience helps recall memories, inspire conversation and improve mood, according to researchers. 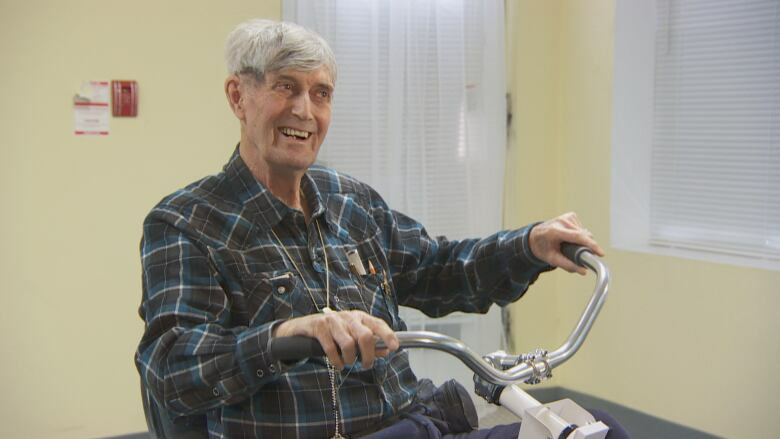 The BikeAround originated in Stockholm, Sweden, but thanks to a Toronto man it's also being used at the Carriage House Retirement Residence in Oshawa and, potentially, will expand across Canada. George Fermanis — who spent years working in Toronto's retirement, home care and technology sector — saw a video of the BikeAround and quickly realized its potential. "There's so much cool technology out there and it always used to skip over the senior sector," he said. 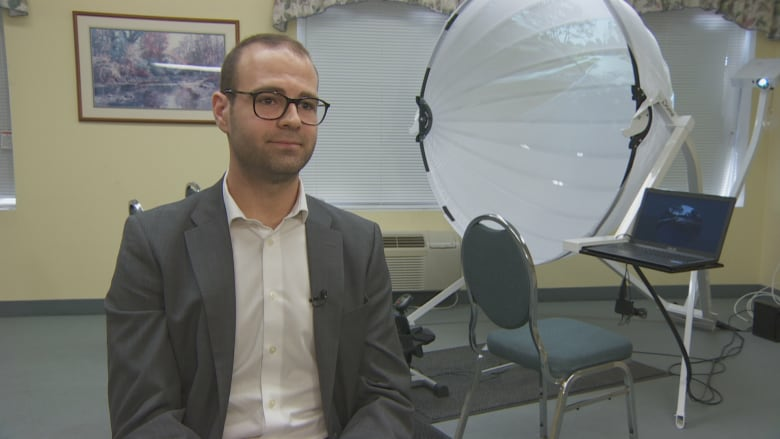 He's using the Oshawa residence to conduct some of his own tests with the device, using residents and clients referred by the Alzheimer's Society of Durham Region. So far, about 40 people have used the Oshawa BikeAround. "Often memories are very tied to location," he said. "So we've been able… to spark memory in individuals and really come through with very vivid details and stories associated with those destinations." Fermanis started the tests by meeting with families to identify meaningful destinations for their loved ones. Carriage House resident Douglas Brunton is a frequent user. "It's incredible," he said. "Just for me to be sitting here, pedalling down the street that I used to walk down or ride my bike down or whatever, and look at it, it's amazing all this coming back." Brunton, 78, visits his old schools, memorable shops and his childhood home, places he hasn't seen in person for 40 years, he said. During a virtual ride on Tuesday, Brunton pedalled past a cemetery in his old neighbourhood — talking about his mother's response to some flowers he brought her. "I said 'I found them.' She said, 'You found them?… Douglas you got them from the cemetery, didn't you?'" he recalled. "And I said, 'Yes, mom.' So she says, 'You take those flowers and you put them right back where you got them from.'" Each time he uses the device, Brunton said he relives old memories. "They're so gratifying, that's probably the best word I could use," he said. "It's amazing, just absolutely amazing." Brunton shared his experiences with other residents, inspiring them to give the BikeAround a try, something the residence's general manager, Gerry Platt, has noticed. "We've had a couple of the seniors, they'd try it and then they'd come back a day later with another address, maybe where their cottage was, or maybe one of their relatives lives in another province, so they keep coming back trying different addresses, so it's special that way," he said. Fermanis has also helped a resident relive her last vacation with her husband, and a mother and son visit an old cottage. "The user, the senior, is able to tell stories that their family members didn't know about before, which is pretty extraordinary." Fermanis said the combination of mental and physical stimulation has already produced some big changes, such as elevated mood. "Which is very significant, especially with Alzheimer's because depression is largely associated with Alzheimer's," he said. Fermanis has also found using the device improves alertness and memory recall, as well as alleviating anxiety. "It's not claiming to be a cure for Alzheimer's and dementia but… something to sharpen cognitive activity and to preserve memories for as long as possible," he said. His company, the Fermanis Group Inc., has partnered with Camanio Care, the Swedish supplier of the system, as its exclusive Canadian distributor. Although the BikeAround hasn't formally launched in Canada, Fermanis said he hopes to start expanding to other residences in the coming weeks. He'll be speaking with residence owners and industry contacts, as they're the ones who will have to purchase the $14,500 US device. A long-term care facility in Ottawa has already purchased one. Fermanis said he's currently looking into ways to offset the cost. Brunton said he believes more people should be able to relive special memories — a "dream come true," he calls it. "It's hard to explain," he said. "It's something that will stay within me until the day I leave this good earth."